The senior members of your family are not as agile and capable as they were before. That is why they need to be guided and cared for. 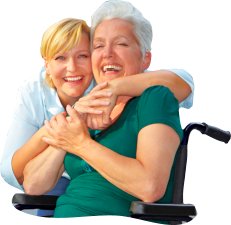 The services of Cascades Home Health Care will provide you or your loved ones with what you need. Our services will help your elderly loved ones attain independence while providing respite for the family caregivers. Our services are done in the very spaces of your home because we acknowledge the fact that the mere presence of one’s family is enough to uplift the spirits of an individual. Our services may not be able to replace the love and support of an elderly’s family, but we endeavor to alleviate the workload and provide ease in your family’s life. Here in Cascades Home Health Care, we offer two primary services: skilled and non-skilled. Our skilled services include the assignment of a Licensed practical nurse (LPN) in your home to take care of patients who require medical services. Our nurses have undergone various special trainings regarding the care for the elderly so you are sure that they will be well taken care of. Our home health aides can assist with Daily Livings, light housekeeping, running errands and other chores in the home. Our personal care services also includes Eating, Feeding, bathing and dressing assistance and medication reminders. We specialized in caring for the intellectually challenged, seniors and children with Autism who required assistance with daily living. Our staff may also be assigned to care for patients with Alzheimer’s / Dementia. All those services are carefully crafted and designed to provide comfort for the ones you love. Show just how much you care; choose Cascades Home Health Care.